Effective October 1, 2018, Richard Harfst joined the staff at WestSide Athletic Club as Director of Tennis. Harfst, who also coaches Women’s Tennis at Elizabeth City State University, is a member of the United States Professional Tennis Association (USPTA) and has been a Certified Teaching Professional since 2014. 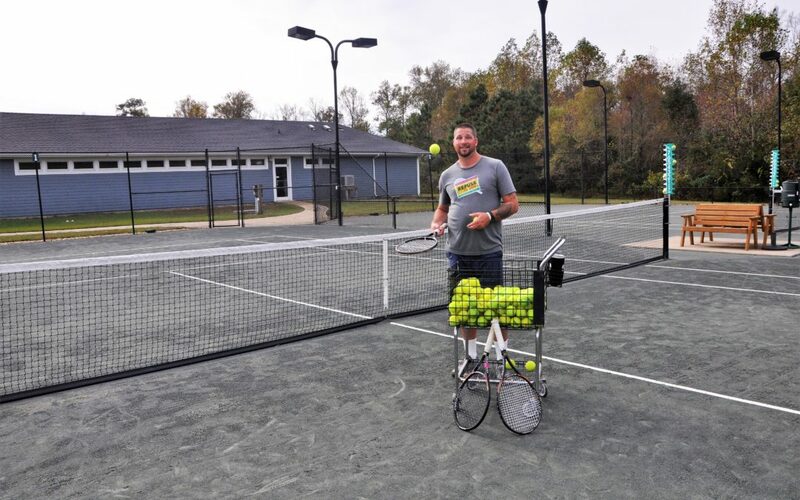 Prior to his position at WestSide, Richard owned and operated River City Tennis in Elizabeth City, building tennis at all ages in that community. Richard is happily married to his lovely wife, Lindsey, and has two children, Henry age 2 and Marin age 5. Richard will be in charge of all tennis operations at WestSide including programming, managing Assistant Teaching Pros, running the pro shop, and overseeing maintenance of the four Har Tru clay courts. The tennis program will include private and semi-private lessons and a regular schedule of organized clinics for all age groups and skill levels. Richard and his tennis staff, including USPTA Certified Professional Claire Spencer and Teaching Assistants Andrea Nevola and Beatriz Neto, are ready to design a program to meet individual or USTA Team practice needs.